A federal judge in Wisconsin has ordered that the government and its insurers must pay for transition procedures for transgender state employees. MADISON, Wis. (CN) – In a ruling filed Tuesday, a federal judge in Wisconsin ordered that the state and its insurers must cover transition procedures for transgender state employees. The exclusion, which has existed in some form since 1994, was found to violate Title VII, the Affordable Care Act and the Equal Protection Clause of the 14th Amendment. The board voted unanimously to remove the exclusion in July, 2016. However, in December of that year, it voted to reinstate the exclusion, which went back into effect Feb. 1, 2017. The plaintiffs in the case, Alina Boyden, a University of Wisconsin-Madison graduate student who has worked as a teaching assistant, and Shannon Andrews, who works at the UW School of Medicine and Public Health as a researcher in the Carbone Cancer Center, first filed suit in Spring 2017. They were represented by the ACLU of Wisconsin and volunteer attorneys from the law firm Hawks Quindel. “Today, I feel vindicated the court recognized what the state did was wrong,” Andrews stated in an ACLU Wisconsin press release. “I hope that this will be a powerful signal that trans people are not fair game for discrimination and that our lives and health are not a political football,” Andrews said. 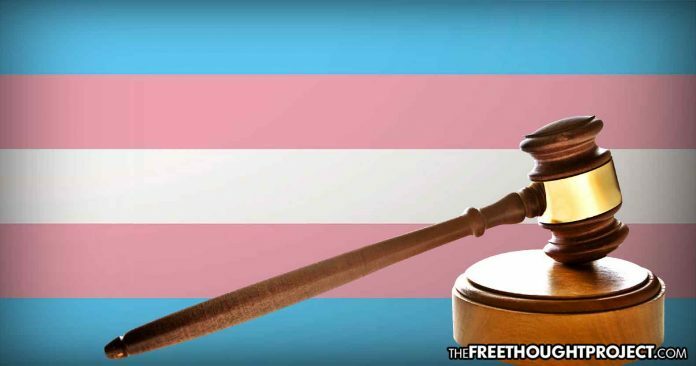 “As an initial matter, removing the Exclusion does not compel surgery, nor any other treatment for gender dysphoria,” the judge wrote. Conley went on to reaffirm that not all transgender individuals suffer from gender dysphoria, and that gender-confirmation surgery and hormone therapy are not always recommended courses of treatment for those that do. Conley did, however, agree with the argument that the individual defendants are entitled to qualified immunity on any claim for damages based on a violation of the Equal Protection Clause. Board-approved health insurance coverage for gender-confirmation surgery for state employees will be effective Jan. 1, 2019. “We will continue our work until all transgender people can get the medical care they need, just like other people can,” he said. Conley’s opinion acknowledged the plaintiffs’ right to pursue equitable relief, compensatory and punitive damages and an award of attorneys’ fees and cost. Any equitable relief and attorneys’ fees and cost will be determined at trial, but the defendants have demanded a jury trial for claims to damages. That trial date is set for Oct. 9.